Stone floors are classic and a great way to get in touch with your environment. 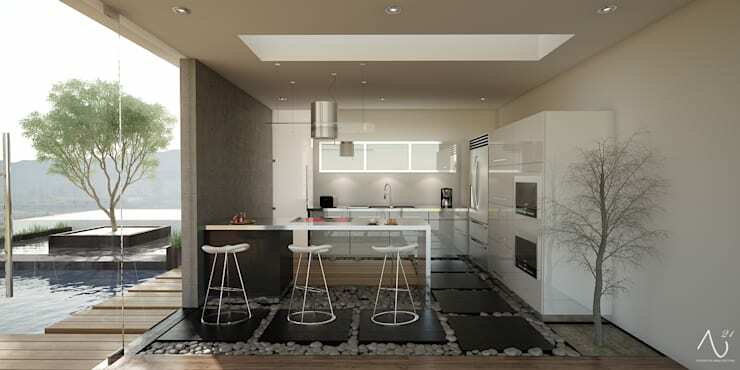 Feeling stones beneath your feet is a grounding experience and stone floors can be styled any number of ways. Elegant floors made of stone are durable and resilient. We’ve got a list of 10 ways to rock stone floors in your home. Let’s start the list with number one! Bring some artful design to your home where everyone will see! The front of this house has a stone driveway that mesmerizes. 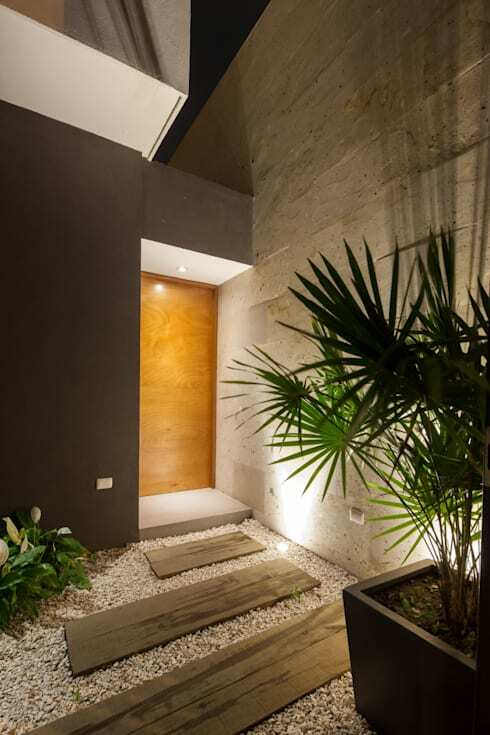 The natural tones of the stones create a warm and inviting entryway. 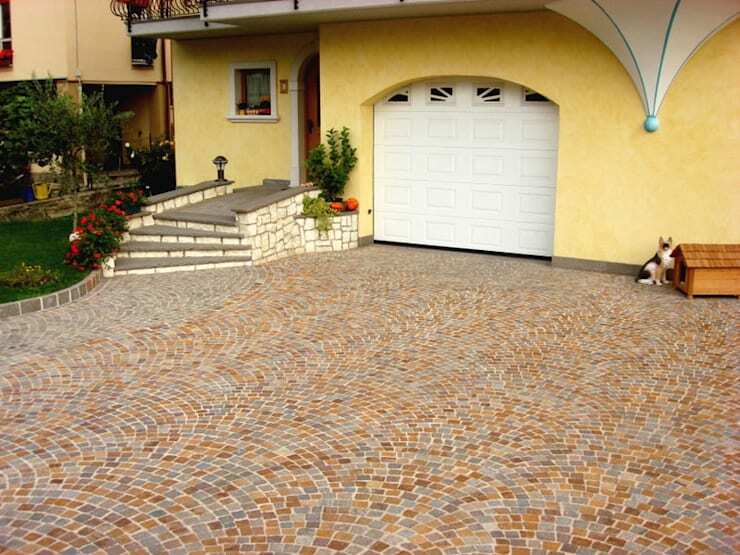 A stone mosaic like this can be arranged in any style. The use of rocks in this kitchen is absolutely one of a kind. They have transformed the kitchen into a river bed. The water feature outside ties the look together. If you want to get your home more in touch with nature, this is a bold and contemporary choice. A stone floor with subtle details like this is stunning. The diamond shape and two tone stone tiles are a delicate choice for the room. This floor adds a unique earthen touch to the room. A neutral palette of creamy natural shades in this room is perfect for a casual and sophisticated dining room. Stone floors in the bathroom is an uncommon choice but it’s perfect because it means that you have a built in non-slip floor! It’s also easy to clean a stone floor like this because they don’t stain easily. This is a great design choice for any size of bathroom because it adds an arts and craft lets you keep the rest of the decor to a minimum. If you’re not ready to commit to installing stone floors in your home, consider a faux treatment! 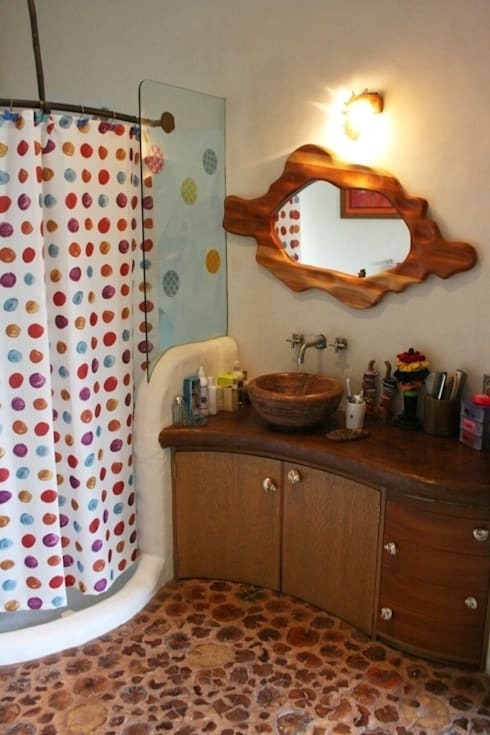 This smart addition of stones under the bathroom sink gives the room a beautiful natural touch. This design actually does double duty. Incase of a leak, the tray underneath containing the stones will help contain the mess! Creating an indoor garden in your home is a great idea for those who have the space and want to get back to nature. 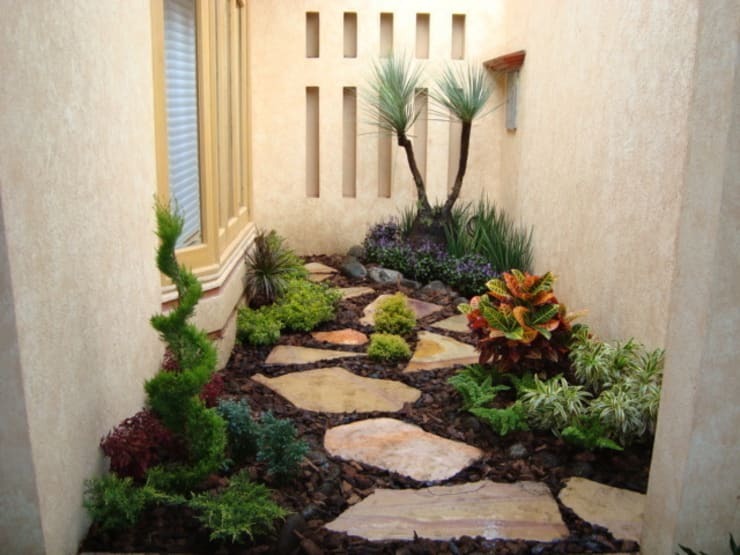 This little garden nook makes use of flat stone walkway tiles. Stone tiles save plants from your tread and keep them going strong! You can use stones like this in your outdoor garden as well. Building your stairs to your home with stones like this is an excellent design choice. 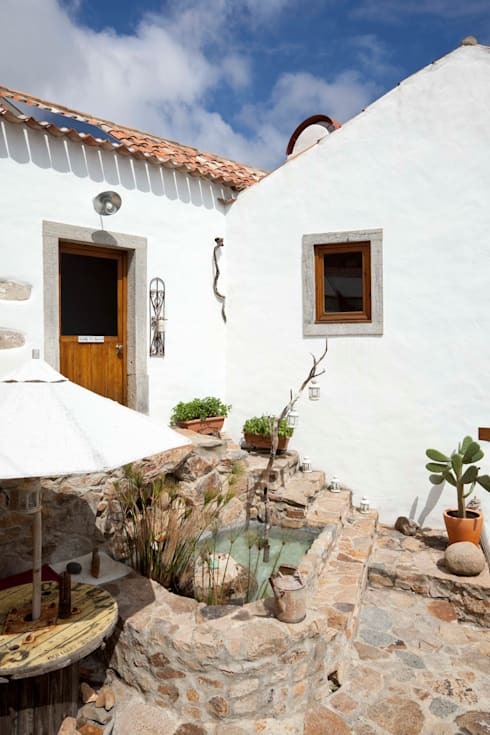 Carrying the same stone elements from the stairs to the pool and the pathway makes the exterior of this home rustic and inviting. 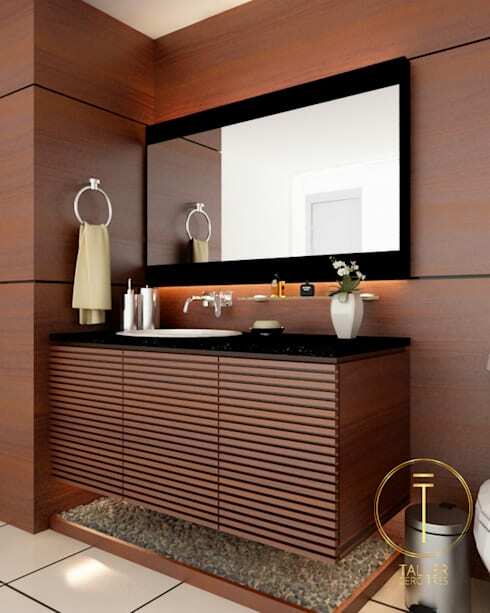 homify knows lots of professionals who can help you achieve a look like this for your home! We’ve mentioned stones in the bathroom before, but this application is absolutely incredible. It makes the bathroom seem like a fabulous natural spa! 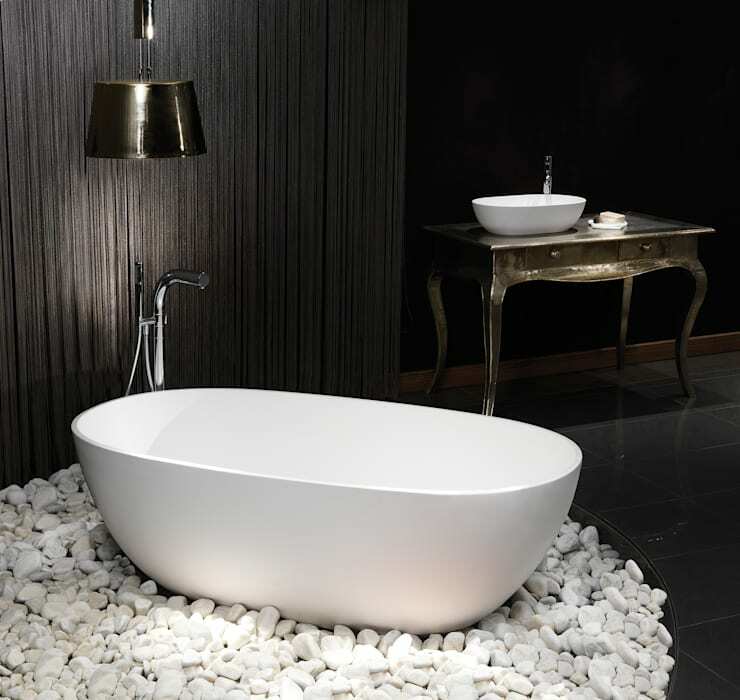 The white stones and the white tub gleam in contrast to the dark floor and wall treatment. The stones bring intriguing textures to an otherwise polished bathroom. We are dying to take a bath here! For a contemporary entryway accessorize it with a stone on stone treatment. The variety of rich natural textures means that the home makes a big impression before you even go in the door. The multiple shades of slate grey make for a modern colour palette for the home. Another way to faux your stone floor is to invest in a rug like this. A soft alternative perfect for those who love the look of stone floors but don’t feel like it’s the right fit. The wood floor coupled with the faux stone rug makes this room full of subtle natural cues. Thanks for taking a look with us at some beautiful stone floor options for your home! For more home inspiration, check out our feature on a family home that's a cut above the rest. Which room do you think would go great with stone floors?